Sept. 8, 2013: Sunday – Moscow. Well, seems the battery decided to charge a little for me this morning, so I can actually catch you up with everything that’s going on. 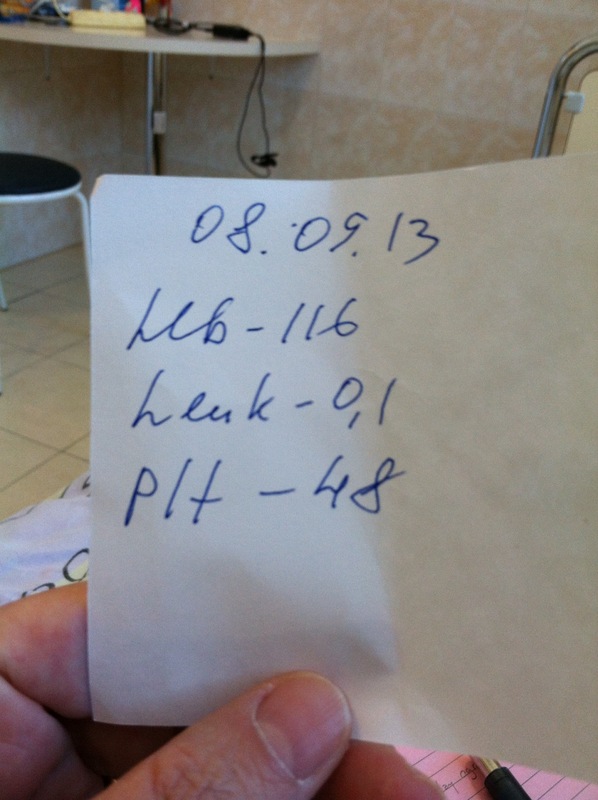 Below are the pieces of paper given to me by Dr. F showing my numbers for the day. The vampire comes in mighty early, to draw the blood so it can be ready for him to visit after breakfast. 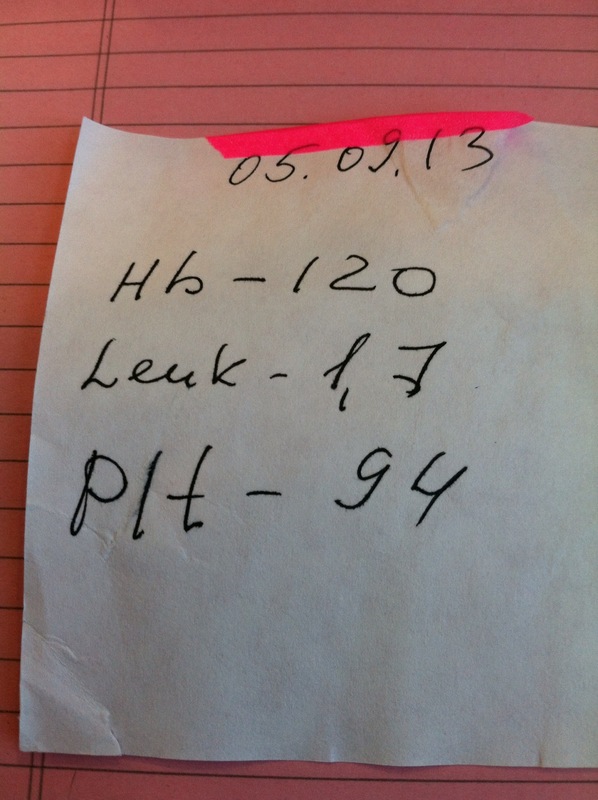 The number that I watch is the Leukocytes, this is my immune system dropping and kickin’ MS out the door. So, you can see I’ve had a steady drop, and today it’s 0.1 which is pretty darn close to as bottom as you can get. 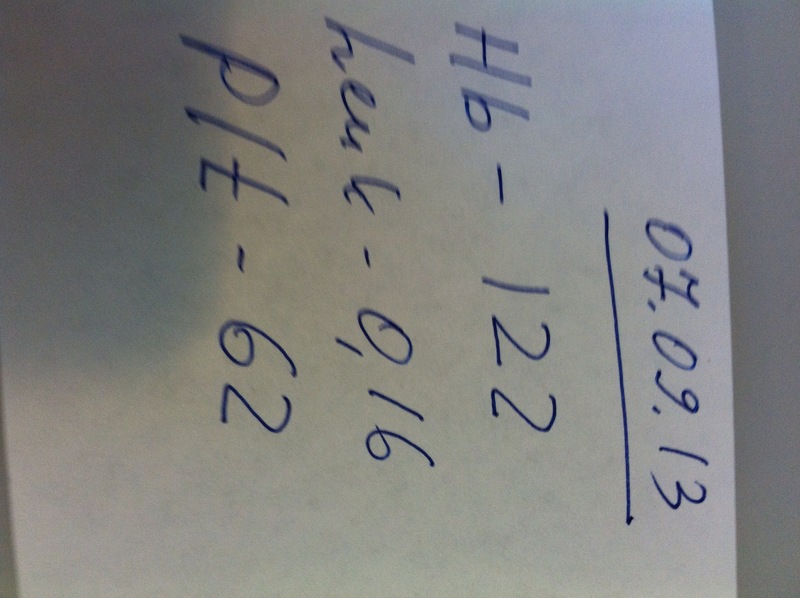 He said it will probably bottom out at .05, but then engraftment will begin to take place over the next 4-5 days. This is when those babies start to do their job and close the door on MS for me. So, happy dance is happening in my room right now. I actual feel pretty well, and just take naps as needed. 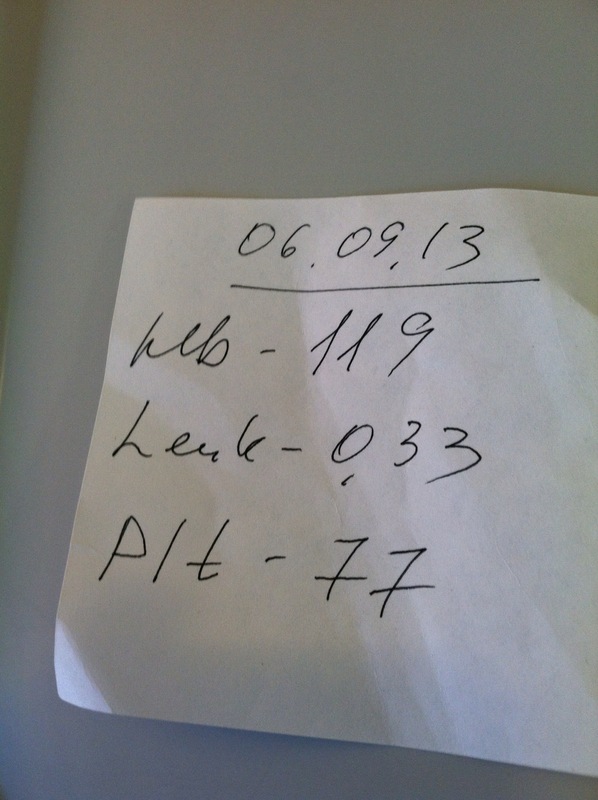 A little Doobie Brothers for your morning..
Glad that you got powered up to send along these numbers!!! 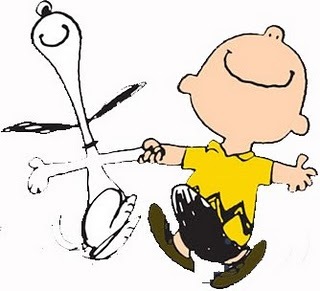 The “Peanuts” Happy Dance seems just right! Awesome progress, thank you for sharing! So happy to see those numbers, Vicki! Stay strong as we too are praying for you.